Bananas are fascinating fruits. When you buy them fresh and good looking they taste alright, good for a healthy snack. But when you leave them lying around for a week and their colour changes to an unappetizing black and brown. That’s when the magic happens. Now they are in perfect condition for making something beautiful, so please don’t throw them into the bin. 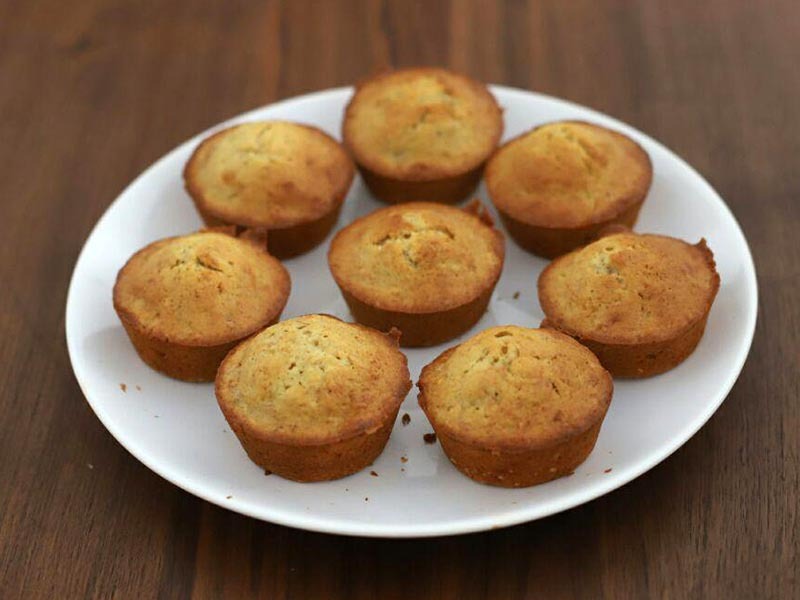 Do some fruit upcycling and make banana muffins. This morning I woke up all motivated and energized, and that’s very unusual for me, especially on Monday mornings. I remembered the sad looking bananas in our living room and the muffin mould I bought last week and identified a perfect chance for dessert for breakfast. I already made banana bread with good results (recipe coming soon) but this time I wanted to try the muffins. So still in my pyjamas, I researched the best banana muffin recipe I could find in five minutes. I settled with this Muffin Recipe for guidance and made some alterations. I quickly checked the fridge and pantry to see if all necessary ingredients are at home and checked the banana-status. Everything looked well and nice so I quickly stirred the dough together and while I got ready for work the muffins were getting ready in the oven. 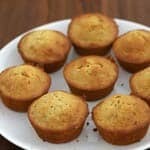 The recipe is quick and easy and the resulted muffins have a beautiful golden colour and smell like sweet banana autumn. The vanilla and cinnamon give it the little extra comfort we all need when summer’s gone. The caramelized brown sugar provides a nice complex sweetness, reminding of honey. I was a little late for work today, but with those banana muffins fresh out of the oven, my colleagues were quick to forgive. This recipe makes 12 medium sized muffins. Melt the butter and brown sugar in a small saucepan, the sugar does not need to dissolve completely and the mixture shouldn't get too hot. 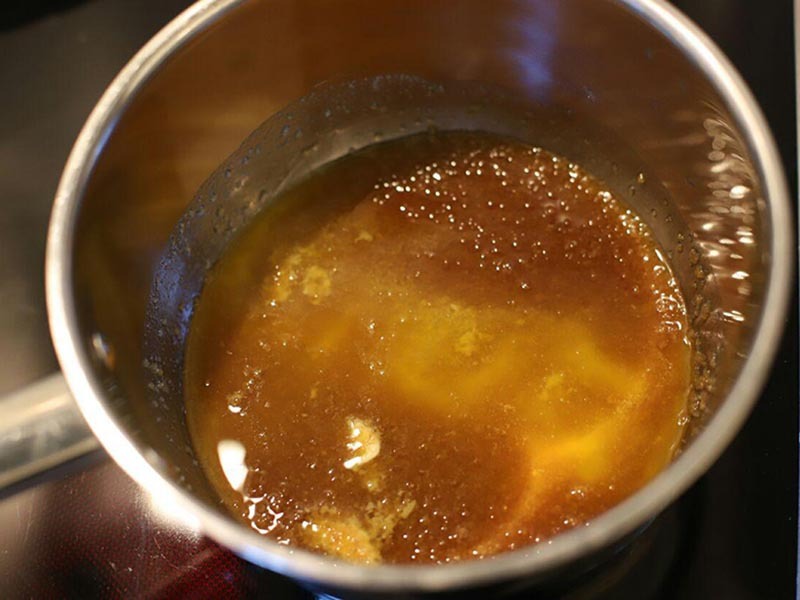 Remove the mixture from heat when the butter is completely melted and the sugar starts to dissolve. 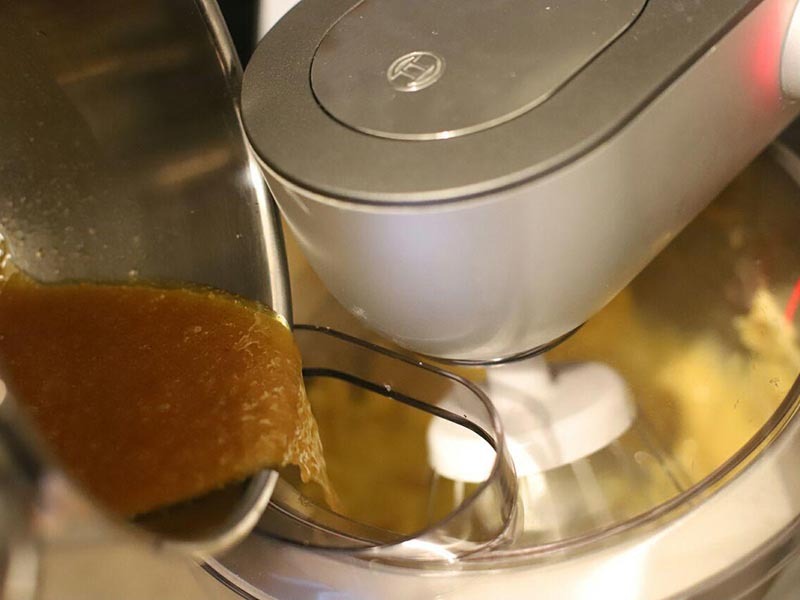 Put the egg and the bananas into the bowl of your standmixer and mix it on high speed for 1-2 minutes. 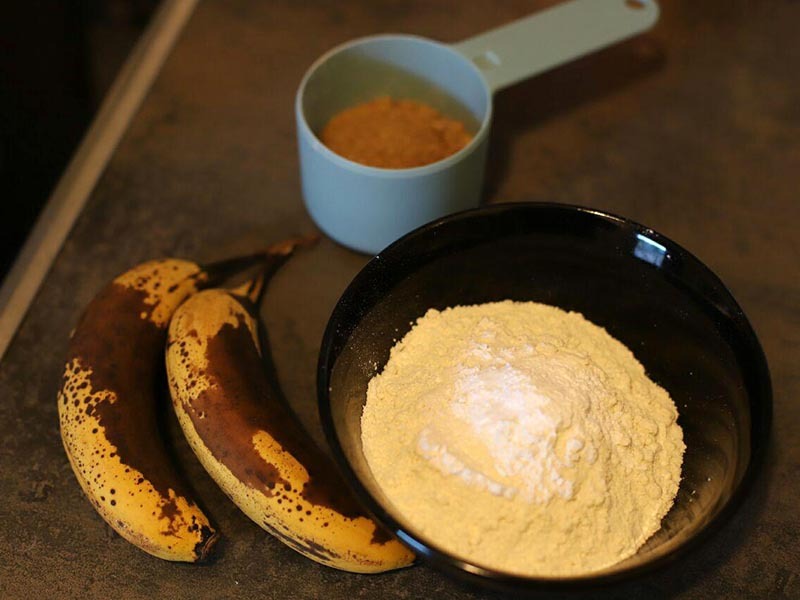 Add the vanilla paste and cinnamon to the egg-banana-mixture and mix some more. Add the butter-sugar mixture to the batter and mix until everything is completely combined. Add the dry ingredients to the bowl with the wet ingredients and mix it with a spoon by hand until just combined. 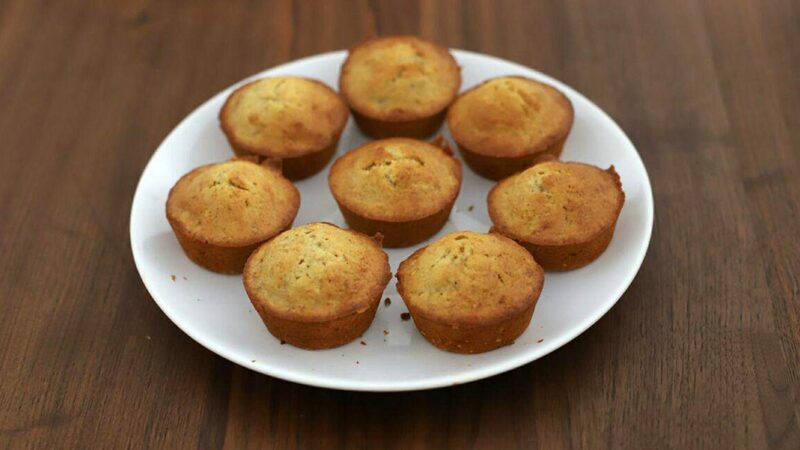 Don't use your standmixer and don't overdo it to keep the muffins light and fluffy. Pour the dough evently into your muffin molds and bake for about 20-25 minutes. The muffins will have a nice brown colour when they're done and spring back lightly when tapped. Use a wooden skewer to check if they're done if you're not sure.